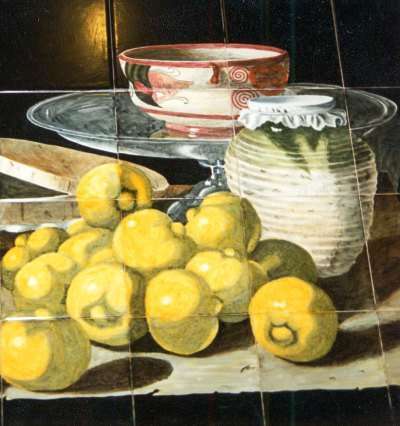 Here, we have used an old Dutch still life oil painting to hand paint a mural onto tiles. The dramatic black background makes a wonderful foil for the glowing colours of the lemons. 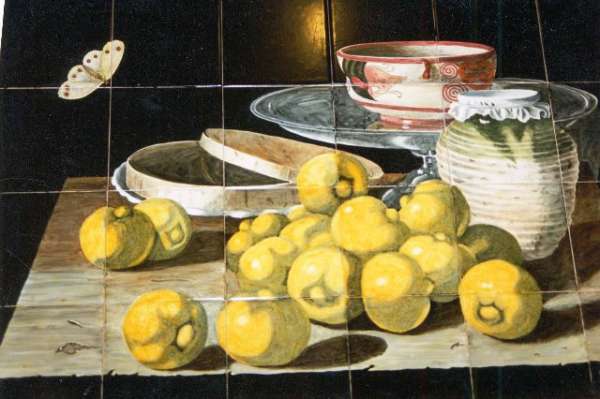 A really eye-catching centrepiece for kitchen tiles. As shown, this is a 24 tile panel, on our standard 5" tile.